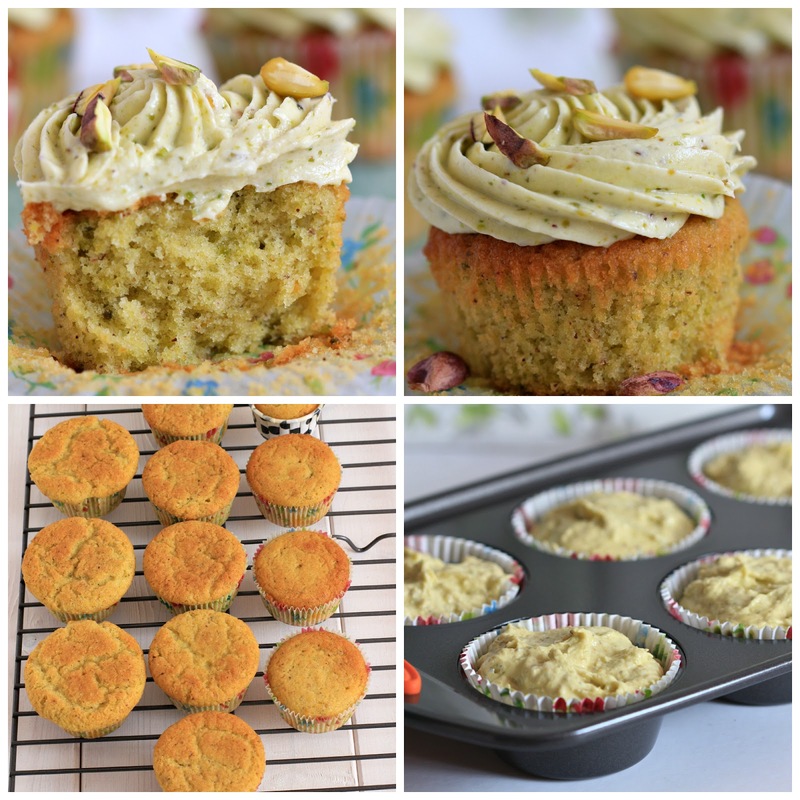 my bare cupboard: Pistachio cupcake with pistachio-lime cream cheese frosting "
You would have thought that after I ingested most of the banana cupcakes that I baked few days ago , I don't have a hankering for yet another unwholesome goodies ?! Yeah , you shouldn't have made that frosting ..... Oops !!! 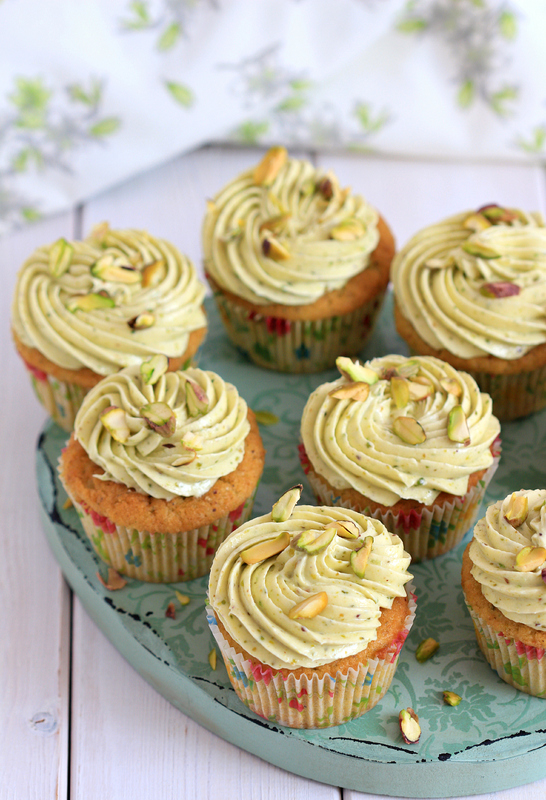 I bought pistachios few months ago and been meaning to bake these cupcakes for quiet sometime . I want to make another go at the same recipe that I made eons ago , go on , click the link , just don't mind those old unappetizing photos hee hee ! I love dense cake , I'm partial to pound cake but I like cupcakes with spongy/fluffy crumbs . The texture of this cupcake is dense as no leavening agent is used . I was thinking that it can be made a bit lighter by substituting some ingredients . 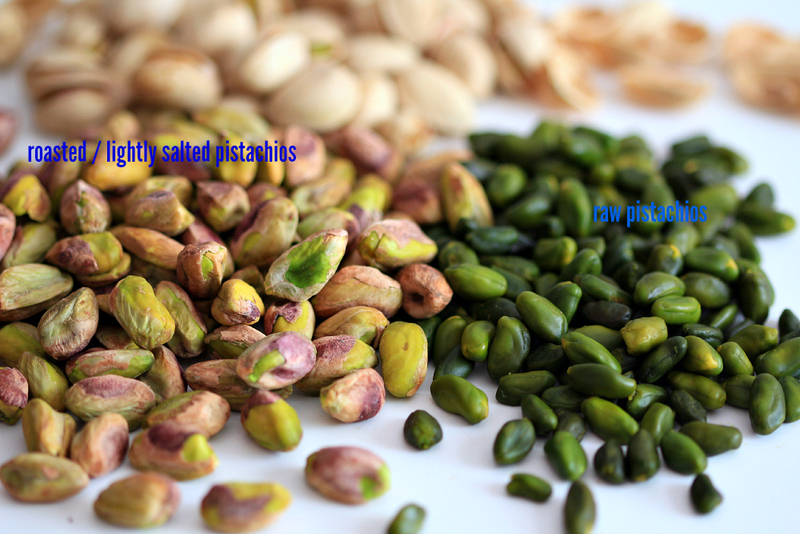 So , I made some tweaks , crossing my fingers that my substitutions will work since pistachios are not that cheap ha ! In my tweaks , I used self-raising flour instead of all-purpose , used some oil instead of all butter since nuts are naturally-oily ( but I'll use less butter next time , I think 80 grams will be good ) . I also used less sugar though I haven't reduced it ruthlessly . Surprisingly , the texture is really fluffy which I wasn't expecting ! But wait , I don't have a consistent results , do check out images of the un-frosted cupcakes ( last photo below ) *sigh* I'm using a tabletop oven and I can only bake 1 pan at a time , I baked these cupcakes in 3 batches ugh ! The first batch turned out to be the most fluffy ( I forgot to take photo of it ) but since I filled each liners to nearly full , the top of the cakes look like a mushroom , good thing the batter didn't overflow during baking tsk tsk ! I should have filled the liners at about two-thirds . The texture of the last batch is slightly dense ( see last photo ) , maybe because it has been seating at room temperature for nearly an hour before I baked them ?! * Preheat oven to 160°C . Line standard size muffin pan with 17 paper liners . * Beat butter , oil , cream cheese and ground pistachios over medium speed until light and fluffy , 3 minutes . Add sugar , in 3 additions , until smooth , about 3 minutes , scrape the sides of the bowl as needed . On low speed , add eggs , one at a time beating just until incorporated , beat in vanilla . By hand , using a spatula , mix in flour and salt , stir until well combined , the mixture will be thick . Divide batter evenly among liners , about two-thirds full . * Bake for 25 to 28 minutes until toothpick inserted in the middle comes out clean . Cool completely before frosting . Or you can serve it warm or at room temperature without frosting . They look awesome, Anne. I even love that lime cheese frosting! 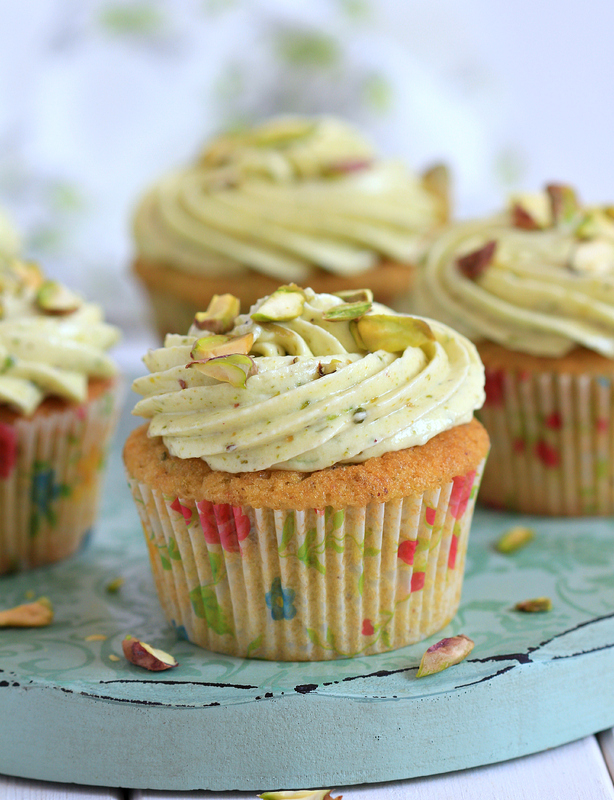 Good Afternoon Anne, Oh I do love pistachio nuts.... very moreish and your little pistachio cupcakes look delightful. I have not baked for a little while, but I will certainly be making these little lovelies in the near future. They look ver very nice and I would love to have one (better at least two) to my afternoon cup of tea! OMG your cupcakes are so so delicious. Thanks for sharing, I must try this soon. What a lovely idea of cupcakes! They must be delicious! I have always loved your pistachio ice cream and now love this frosting on cupcakes too.